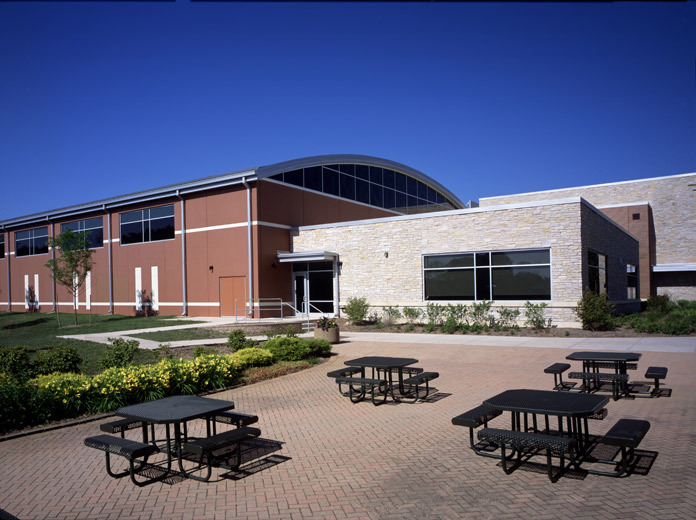 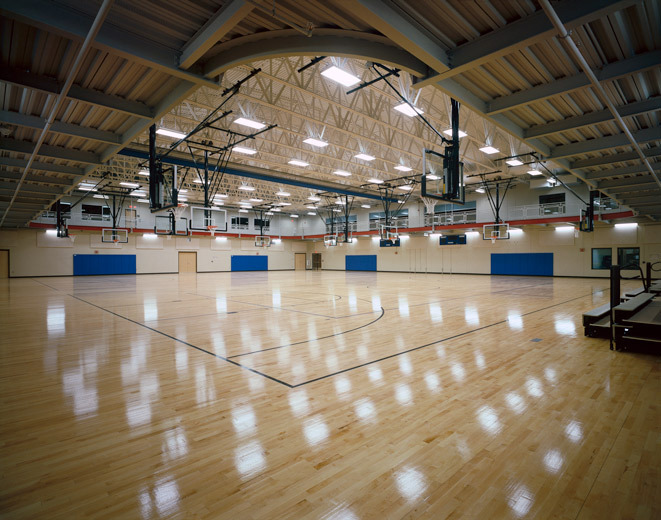 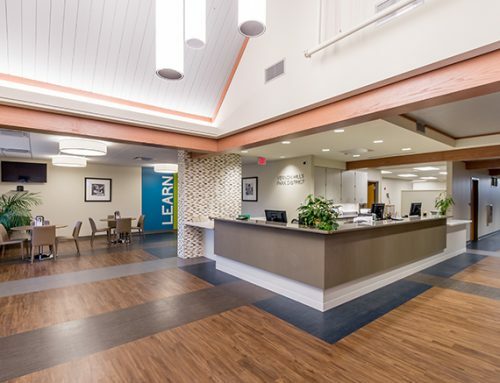 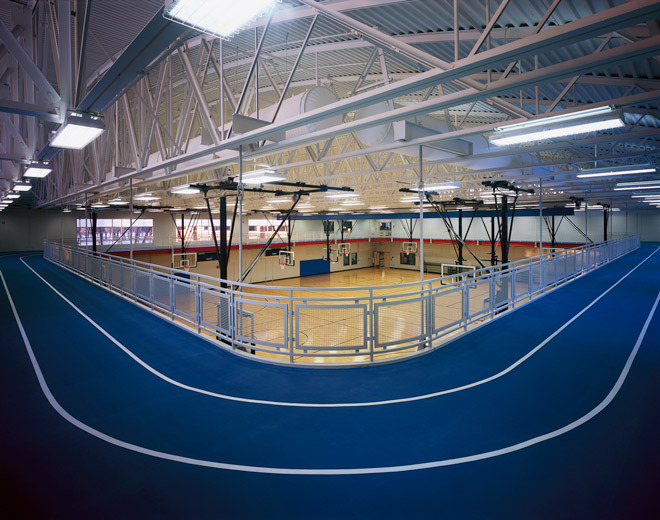 Situated within the Langendorf Park Site, the Barrington Park District’s Community Recreation Center encompasses amenities to fulfill the needs of the residents of Barrington while also incorporating sustainable design principles. 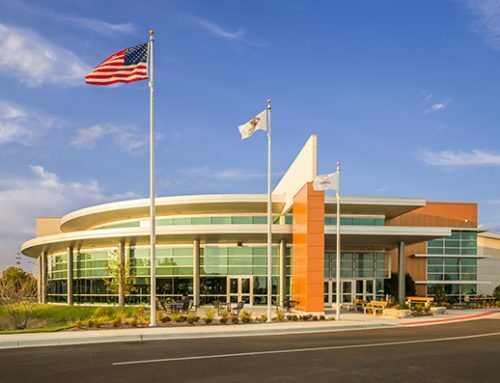 The Park District requested that Williams Architects design the 54,668-square foot facility to reflect a contemporary building with a focus on safety, sustainability and ease of maintenance while also factoring in durability for all materials selected for its construction. 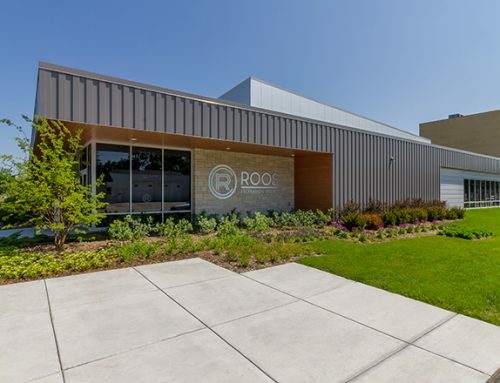 An additional goal for the facility was that it would blend seamlessly with the surrounding natural setting of Langendorf Park. 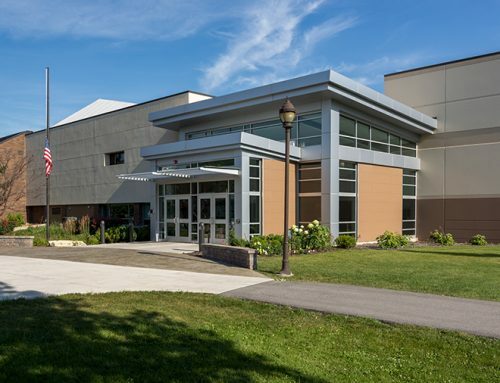 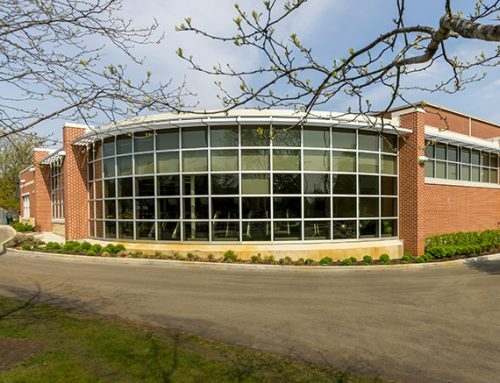 To accomplish this, the exterior of the facility features such elements as brick, stone, precast, aluminum window and curtain walls, a stranding seam PVC roofing membrane and metal panel roof screen enclosures. 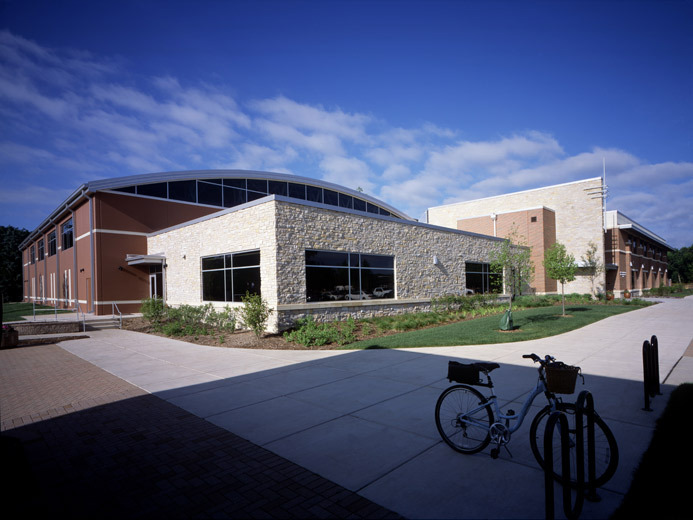 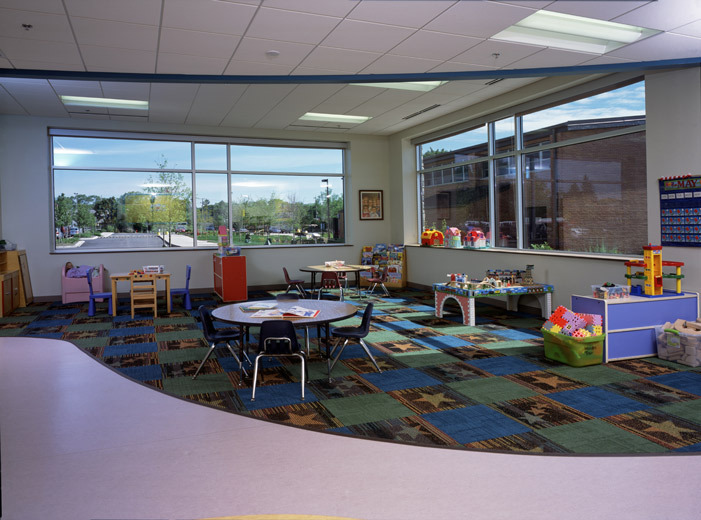 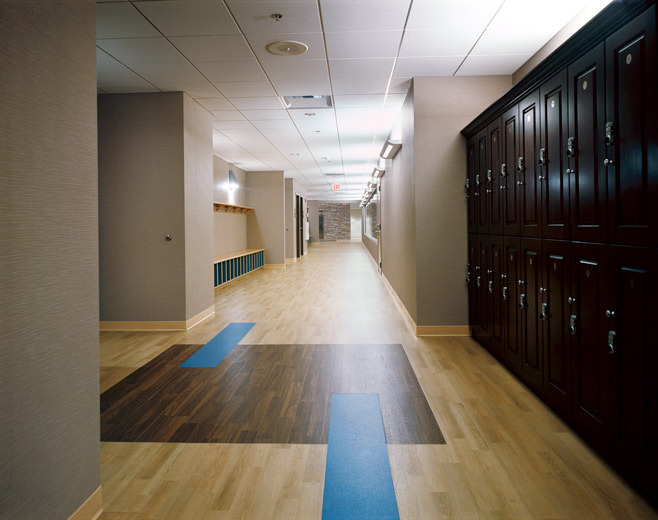 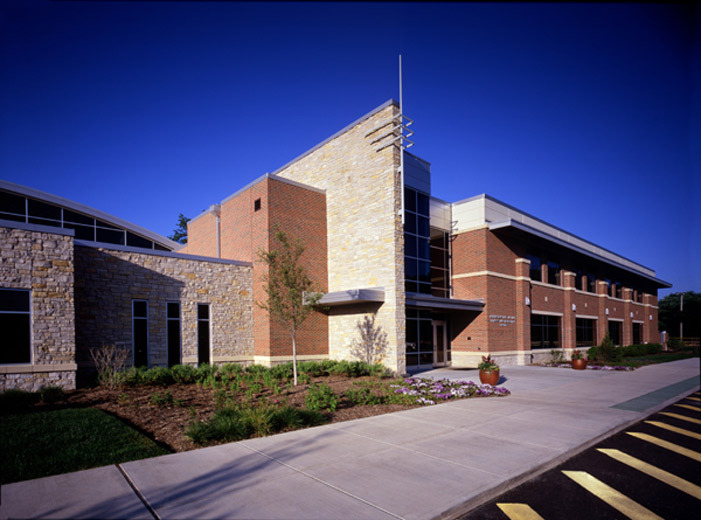 Glass was also used extensively in the design of the center to allow the Park District to take advantage of as much natural light as possible throughout the facility.